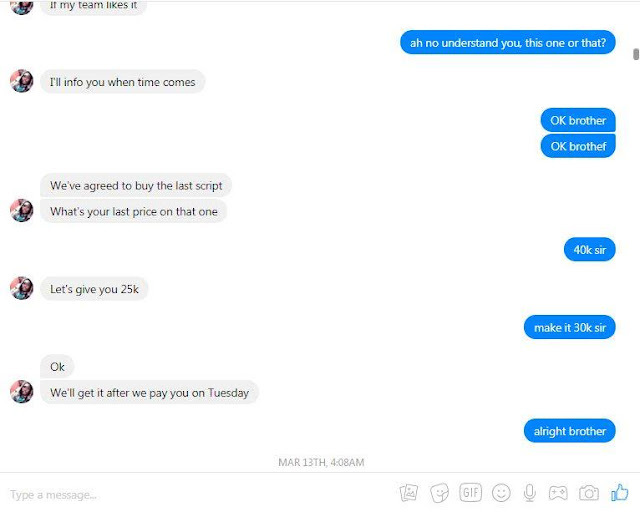 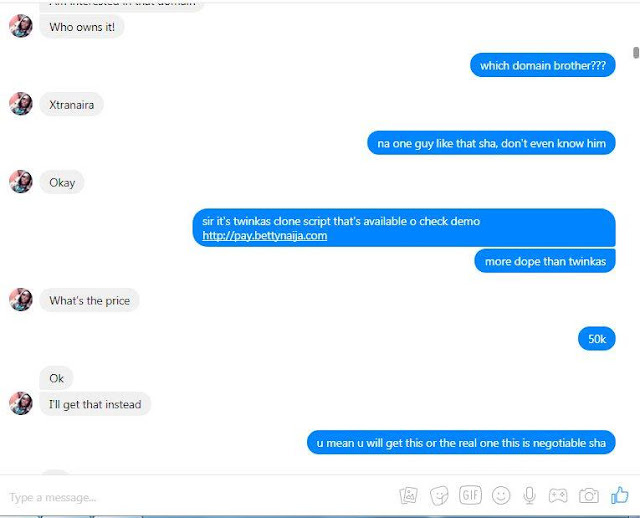 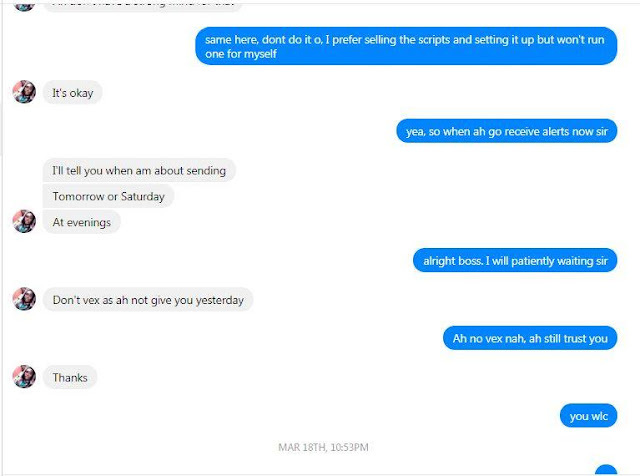 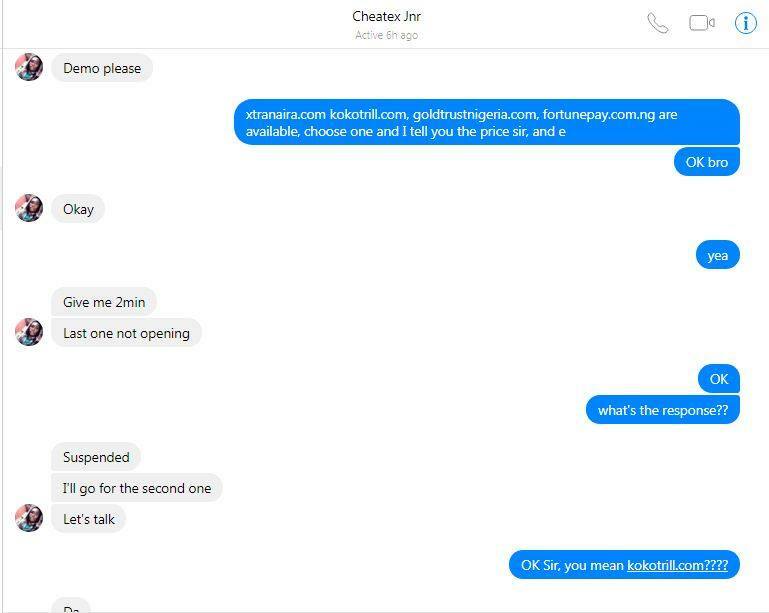 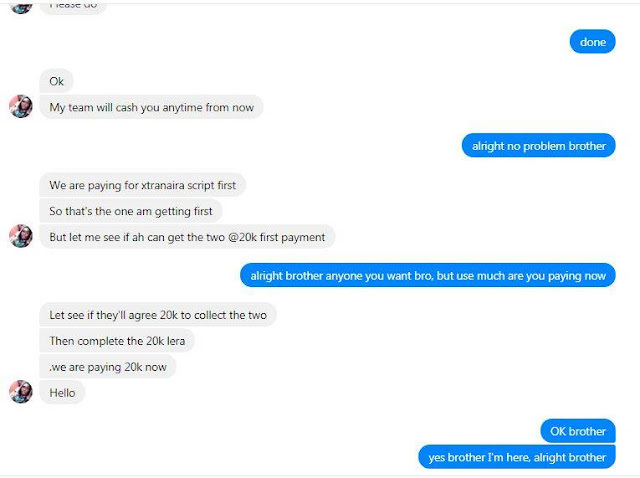 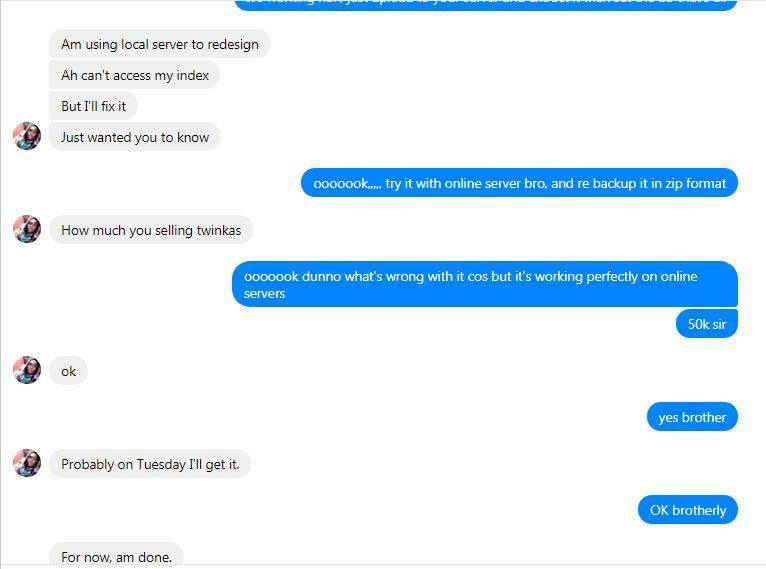 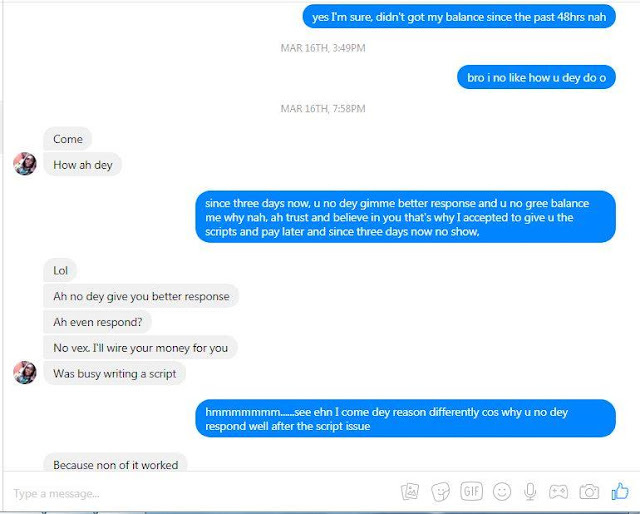 Report Got to Us This Morning that a Popular Facebook user and Blogger Cheatex Jnr has succeeded in Scamming the Wapclass.com.ng Owner OG Pablo. 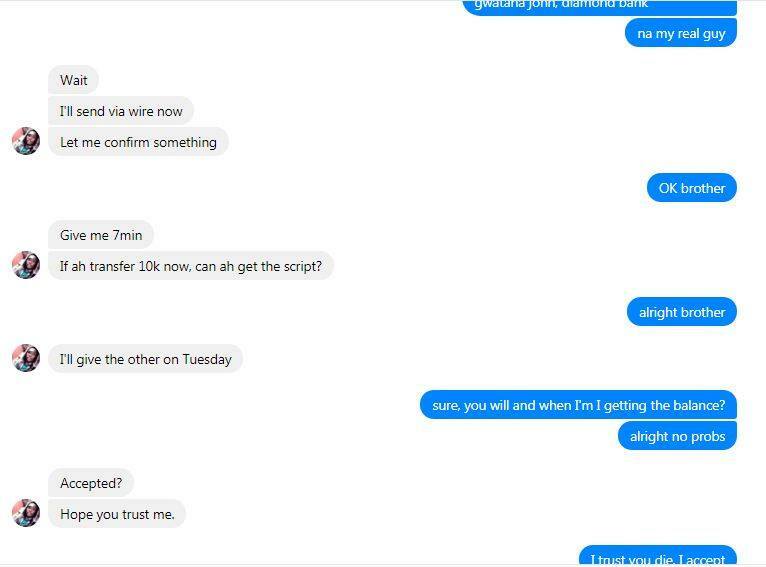 Bulletin.com.ng Gathered that Business Transaction Went Between the Duo without The Service of an ESCROW in which Cheatex Jnr contacted OG Pablo for Ponzi Scripts (3 Different Ponzi Scripts worth 20k, 20k and 30k) worth 70k and made a payment of 20k but refused to balance the Remaining 50k - OG pablo Reports. 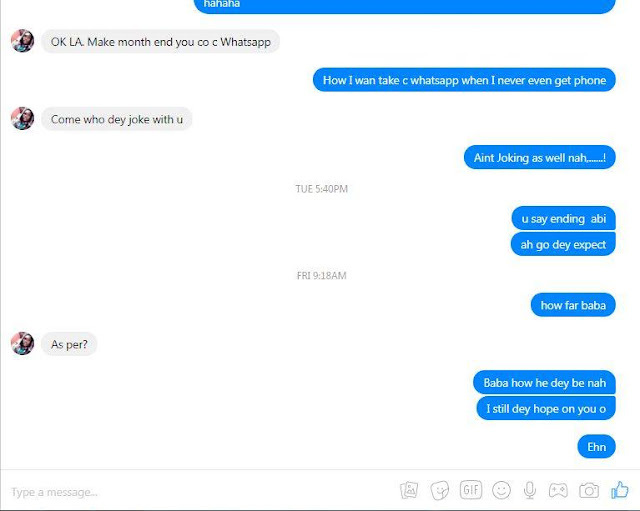 See screenshots of their chats Below...... 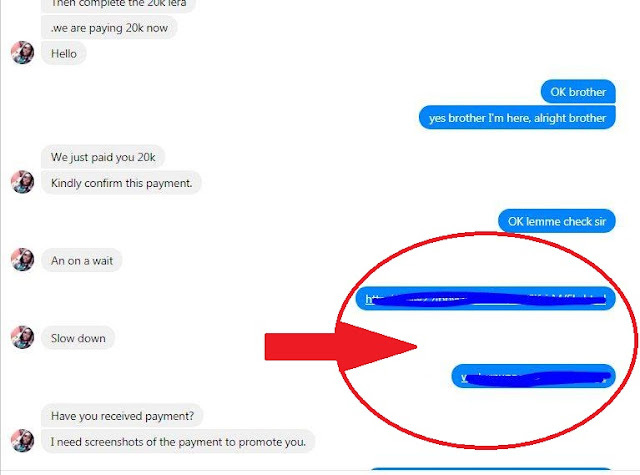 But wait... we noticed that OG Pablo Shielded part of the screenshots he provided to us, see the screenshots of where we circled red, the question is why did OG Pablo Shield that part of message?? March - Present (October) is Enough to pay up a 50k Debt, Scamming Everywhere...... Whats your pick on this?? 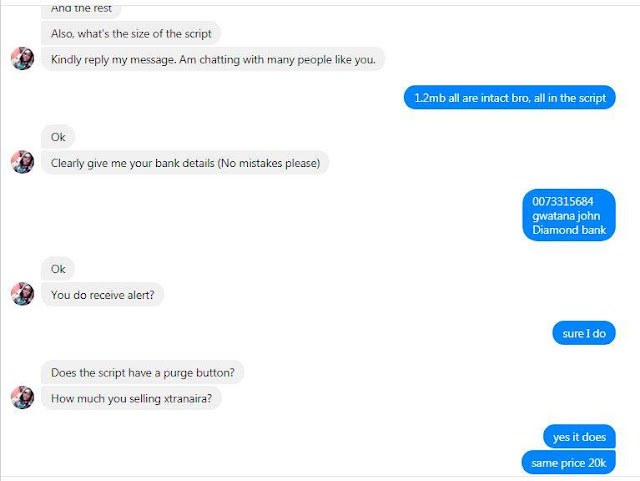 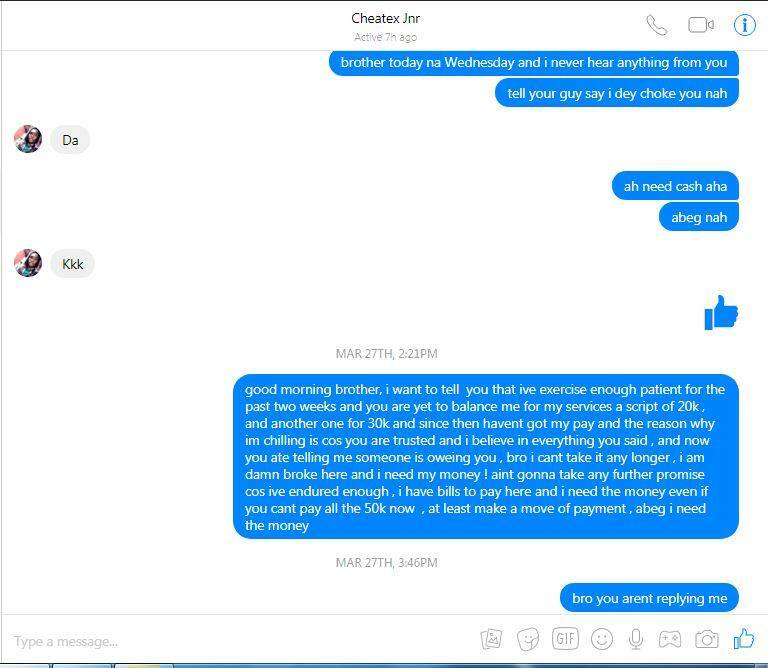 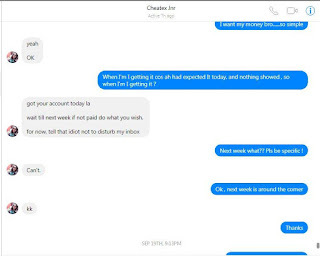 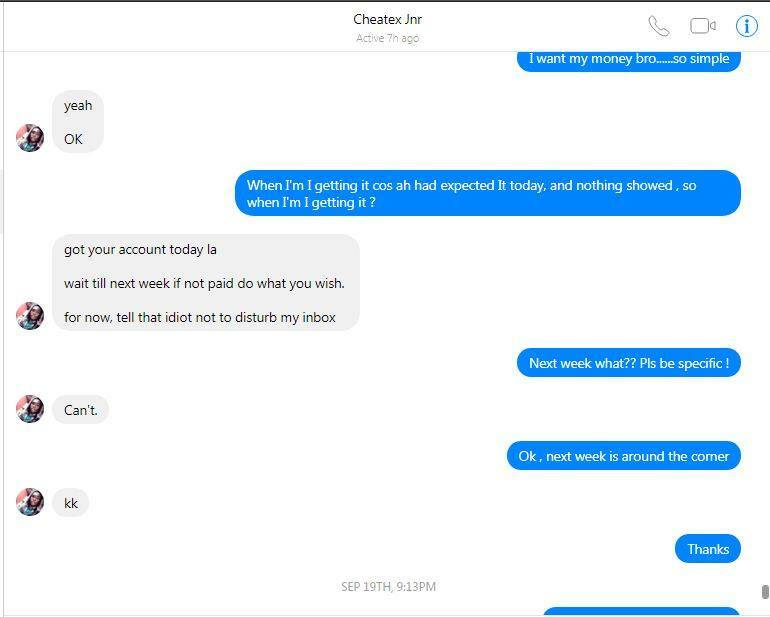 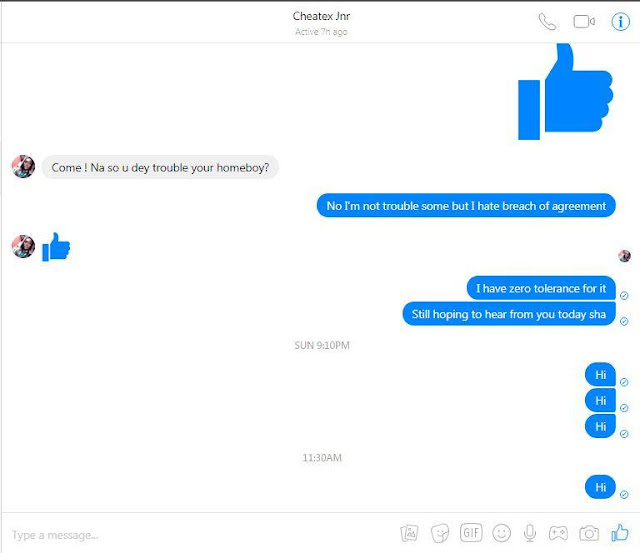 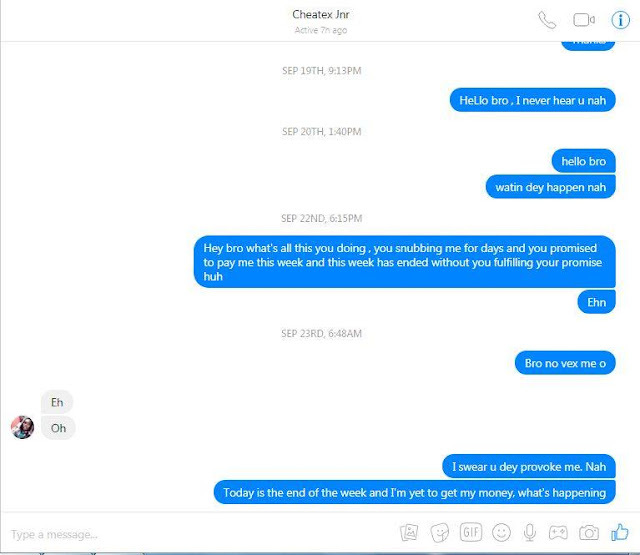 3 Responses to "How Facebook User and Blogger Cheatex Jnr Succeeded in Scamming me #70,000 - OG Pablo"
This os nt the first time Cheatex Jnr is scamming someone online.. 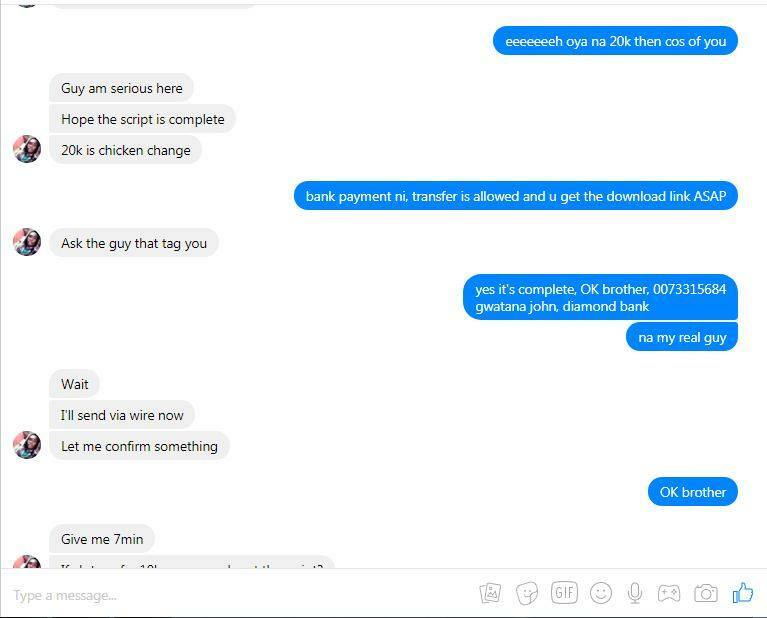 Nor be new thing.